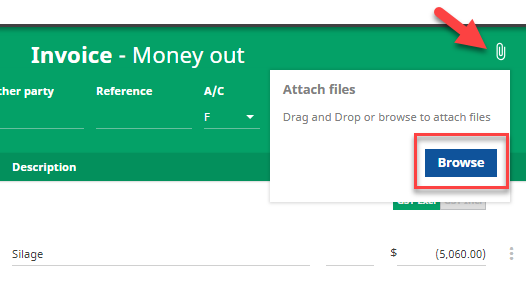 The Attachments tool was released into Cash Manager Focus in May 2018. It safely stores digital/electronic copies of your invoices and credit notes, statements and other documents in your Cash Manager Focus farm business; against the invoice or bank transaction they relate to. 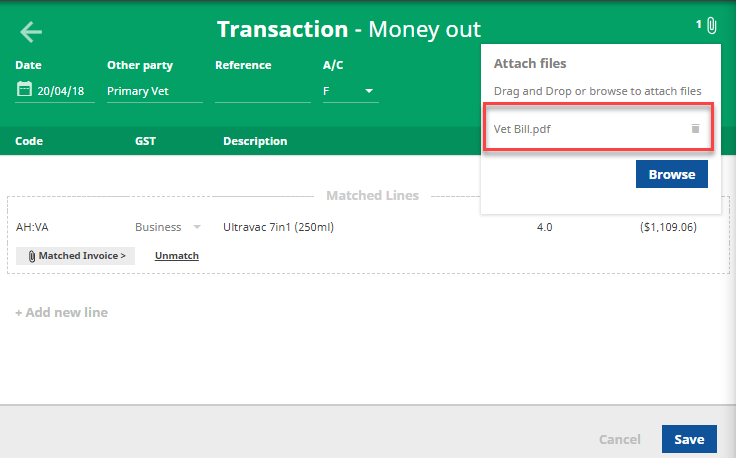 You can attach as many documents to an invoice or transaction as you like. Once the document is in your farm business, you and other users with access to your farm business can quickly and easily locate the document at any time. NOTE: If the invoice is located on a web page i.e. your Gmail account or a supplier's website, you'll need to save the file to your computer before attaching it in Focus. In Cash Manager Focus, create a new invoice record or edit the corresponding bank transaction. Drag the document from its location on your computer or tablet i.e. the Downloads folder. Drop it into the invoice or transaction record. Click on the paper-clip icon in the top right corner of the screen. Click on Browse and locate the file on your computer or tablet. Locate the invoice or transaction the document has been attached to. Click on the trash can icon located to the right of the file name.